The Indian Premier League 2019 or IPL 2019 will be a special one as far as fans are concerned. Official broadcaster of IPL Star Sports has collaborated with the Board of Control for Cricket in India (BCCI) to make the upcoming edition interesting for fans with an artificial intelligence-powered training installation that is being developed by Google. And one such innovation was seen in Delhi during the IPL 2019 trophy tour. IPL 2019 Schedule in PDF for All Matches: Download VIVO Indian Premier League 12 Full Timetable With Fixtures, Dates, Team and Venue Details. 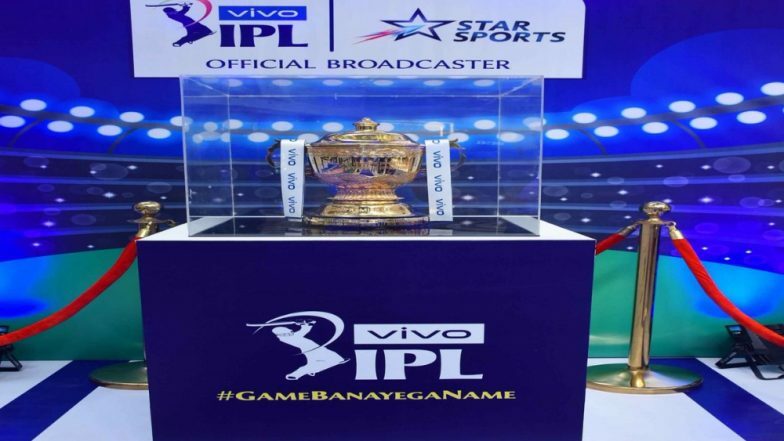 The IPL trophy tour, which started on Sunday, will travel to each franchisee city, giving fans opportunity to get their hands on the coveted cup they would want their favourite team to lift. At the Ambience Mall, Vasant Kunj, fans experienced a new and evolved platform called the 'AI Coach', which compared their shots and skills with their favourite pros. Fans had the opportunity to attempt Mahendra Singh Dhoni' Helicopter shot, Virat Kohli's cover drive, Rohit Sharma's pull, and Delhi-boy Rishabh Pant's switch-hit and then comparing that to a video shot of the cricketer they selected. During the trophy tour, fans will also get an opportunity to click selfies with the trophy that they see during every game of the tournament on their television screens. CSK's Home Venue Chennai to Host IPL 2019 Final on May 12. The IPL 2019 is scheduled to begin on March 23 with defending champions Chennai Super Kings (CSK) taking on Royal Challengers Bangalore (RCB). The BCCI earlier in the day released the full schedule of the IPL upto league stages, which ends on May 05.